Get it done, but get it done right! 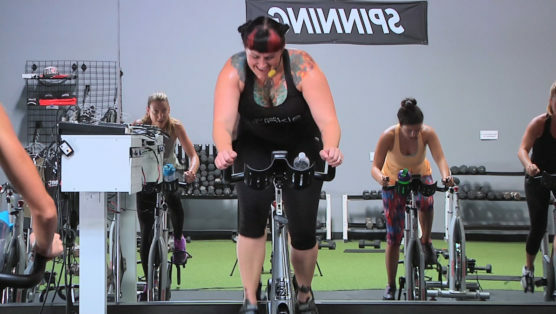 In this video Trainer Cat Kom walks you through Spin® bike set up, proper riding techniques, Spinning® terminology & more… Enjoy! Never let time influence your decision to take care of your body. 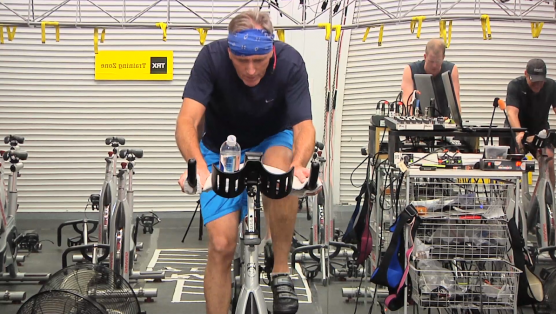 A 30 minute ride is far better than 30 minutes of inactivity that occurs because you do not have an hour to workout. If you have 30 minutes — you have time to do your body well! This ride is for everyone who is pinched for time, but wants to squeeze fitness out of every minute! Now mount up and let’s SWEAT! Are you looking to lift heavier during class, are plateauing, or just want to challenge your muscles? Then look no further than this killer spin and sculpt workout full of “man moves”. Don’t let the name fool you. There are many benefits doing these moves for both sexes! You will need a HEAVY set of weights for the chest, back, and legs. We’re doing only 10-15 repetitions at a time, so please go as heavy as you can while maintaining good form! Plus, grab a medium set of weights for smaller muscle groups. The cycle segments will get the heart pumping and burn tons of calories while the floor work will build nice lean body mass. Let’s go burn some fat and get our swole on! This is a heck of a fun 30 minute Boot Camp workout! By fun I mean the heart pumping, mind challenging, sweat-inducing, body changing, calorie destroying, muscle toning, and completely rewarding kind of fun! The format is simple, yet effective, with a couple of 3-minute progression sets where the moves get more challenging every 45 seconds, partnered with an 8 minute superset of strength and plyometric moves (low impact options available). Let’s break those muscles down to build them back stronger. It’s GO TIME BABY! This is a TRX Total Body Blast in just 25 minutes, so grab those handles and don’t let go until the workout is done! We’ll start off strong with an upper-body-toning back & arm series, then move right to the legs for some single-sided drills that’ll sculpt the lower-body, as well as your core. We’ll then finish it off with a chest & ab burner to complete our full body attack! 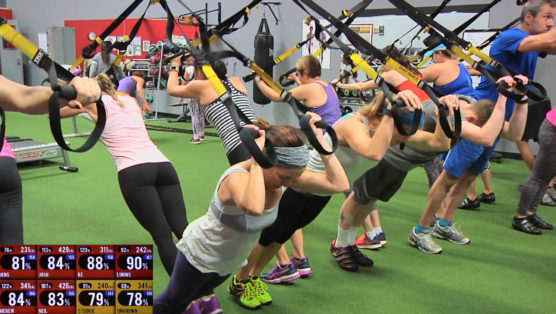 When you’re done, you’ll wonder how you ever lived without your TRX Straps!